Being an architect is not just about designing great buildings, for many, it is even more about running a business, and doing so successfully. And whether it is a small one-man band or a huge firm, many of the same business principles apply. 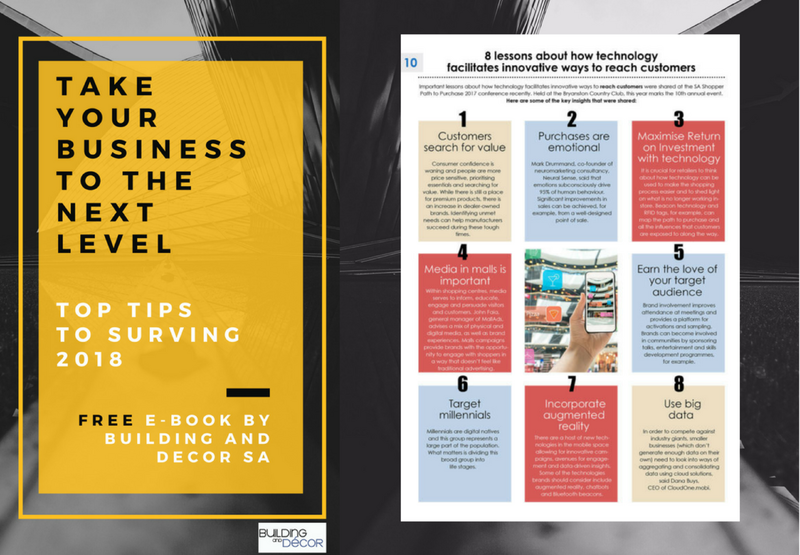 That is why Publisher Media in Africa with sister magazines WALLS&ROOFS in Africa and FLOORS in Africa, Building and Décor and DAS has compiled some of our top-read business articles in a handy go-to-guide. From advice on meeting a client brief, expanding a business and future-proofing your projects to tips for personal interactive marketing and social media – this will equip you to make sound business decisions and grow professionally. Complete the short form below to access your FREE 20 page e-book! We hate spam! By completing your details, you will be added to our newsletter database, but you will have the option to unsubscribe immediately, no questions asked.